* Any donation this week over $25 gets a $10 coupon to "The Nutrition Fix" in Westlake Village! The Nutrition Fix offers healthy smoothies and shakes they like to call "Fast Food for Smart, Healthy People". 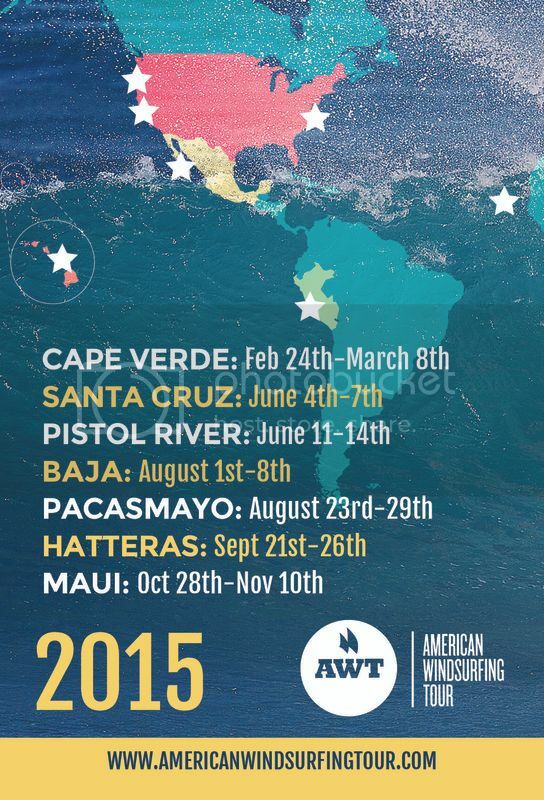 My goal is to compete in the amateur division in four of the seven events on the American Windsurfing Tour in 2015. The tour starts in Santa Cruz in June, then continues in Pistol River, Oregon four days later. Next, I'll go south to Baja to compete in August, followed by Maui in the end of October. I will also attend an 8 day training camp in the spring prior to the contests. The camp is held in Punta San Carlos in Baja, Mexico and is headed by former world-champion windsurfer, Matt Pritchard. My contest registration is done and paid for. Now, I need your help in getting there. I will need to raise $3,500 to assist my own funds for attending all of these events. The biggest cost will be the Baja training camp in April ($2,700 all inclusive). I will need to be singed up and paid in full this month to secure a spot at the training camp. The second biggest cost will be the Maui contest. I will need $800 for the plane ticket alone (and gear transport) to Maui. My own funds will suppliment and I hope to stay with friends if possible to keep the other costs down. The west coast events I will be able to drive to and camp for relatively cheap. Your support will be incredibly helpful as this is an expensive endeavor. It will mean the world to me to have the opportunity to train with Matt Pritchard in Baja in April. I will need to be signed up and paid in full for the training camp by January 15th! I absolutely hope that I can ispire others by doing this sport and being a positive athlete. My website / blog "www.NoGustNoGlory.com" will feature tons of video, pictures and writing documenting my training and competing... but also will incorporate a wealth of info on eating well and thinking positive. Not just geared toward athletes, but for all types of folks. I am very passionate about "informed eating" I like to call it, as well as the power of the mind with visualization and the law of attraction. I did take a lesson or two from my friend Ron when I was about 10 in Stehekin, WA where I grew up. That planted the seed and I thought a lot about windsurfing after that. Those thoughts eventually slipped away as I got into music and other things, but once I started again, my mind was flooded with windsurfing all over again. My first windsurf board was from craigslist and only cost m a couple hundred bucks. It came with several sails, a mast, boom and a bunch of extra parts and things. As I progressed I sold my first board, I upgraded again with the help of craigslist. I think I repeated this process at least a dozen times trying different types of set-ups, buying and selling them. For quite sometime I was actually profiting from the sport above my original $250 investment in my beginner board. One challenge for me with the sport is dealing with the down-time when it's not windy. It's such a rush doing this sport that I litterally go through withdrawalls. (My girlfriend knows what I'm talking about... lol). I have to keep my mind and body active with other excercize to stay sane sometimes! ;-) At the mercy of mother nature... getting to train can be difficult, especially with work schedules. My boss has been incredibly generous in supporting what I'm doing and allowing me to train in the afternoons after a morning shift. I'm so lucky! My windsurfing friends have been very encouraging as well. Even though I haven't competed before, they can see the fire burning inside me! My family has always supported everything I do. I am so grateful to have creative, outdoorsy and understanding parents. Not to mention the fact that my Grandfather was a tremendous lover of sailing (sailboats) and I'm certain his influence steered me toward this sport in one way or another. My good friend Mitch K has been a tremendous help in teaching me all about windsurfing. When we sail together, he follows me around on the water and watches me and gives me pointers. Mitch also has helped me make the right decisions with gear choice and fine tuning my boards and sails. Thank you Mitch! My boss, Brian has supported me all the way and gave me a work schedule where I can also windsurf every day! I still have to pinch myself when I think about that. Thank you Brian! Pro Windsurfer Kevin MacGillivray has been a great influence on me and recently as I've gotten to know him... a great motivator as well. He sees my passion and keeps pushing me. It's an honor to share the water with him quite often now. I will be competing in the same events as Kevin this year in the AWT, just not in the same division. Thank you so much for your support!! Please share my Rally via Facebook, Twitter, blogging and email. Also, don't forget to use the social media share buttons on my Rally page. Become a sponsor! $150 donation gets your logo on a 6" x 6" sticker on my sails for one year. It's super easy! Just make the donation and send me your hi-res logo. Become a sponsor! $250 donation gets your logo on a 12" x 12" sticker on my sails for one year. It's super easy! Just make the donation and send me your hi-res logo. Become a sponsor! 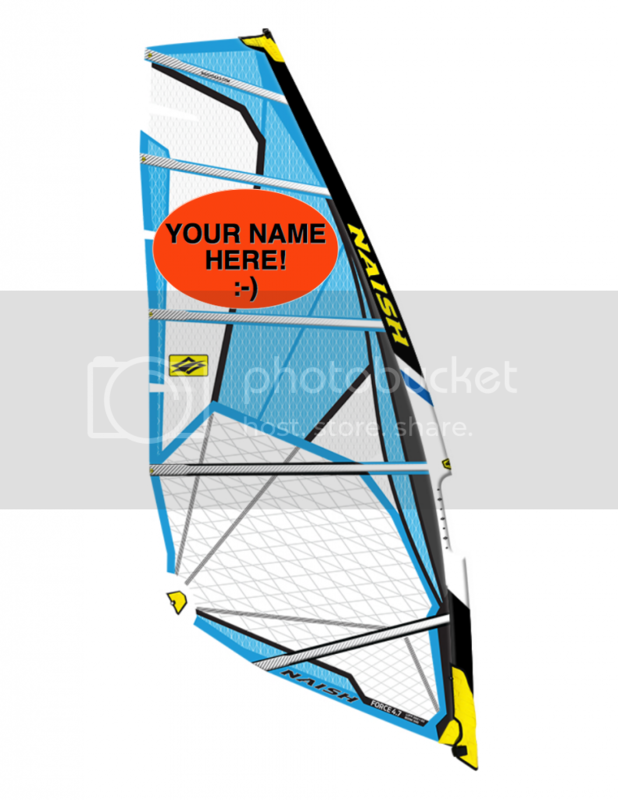 $350 donation gets your logo on a 18" x 18" sticker on my sails for one year. It's super easy! Just make the donation and send me your hi-res logo. Space is limited to only 2 of this size. Owen - we wish you the best in this! Outdoor adventure and sailing are in your blood.